How do distant asteroids differ from those near the Sun? To help find out, NASA sent the robotic New Horizons spacecraft past the classical Kuiper belt object 2014 MU69, nicknamed Ultima Thule, the farthest asteroid yet visited by a human spacecraft. Zooming past the 30-km long space rock on January 1, the featured image is the highest resolution picture of Ultima Thule’s surface beamed back so far. Utima Thuli does look different than imaged asteroids of the inner Solar System, as it shows unusual surface texture, relatively few obvious craters, and nearly spherical lobes. 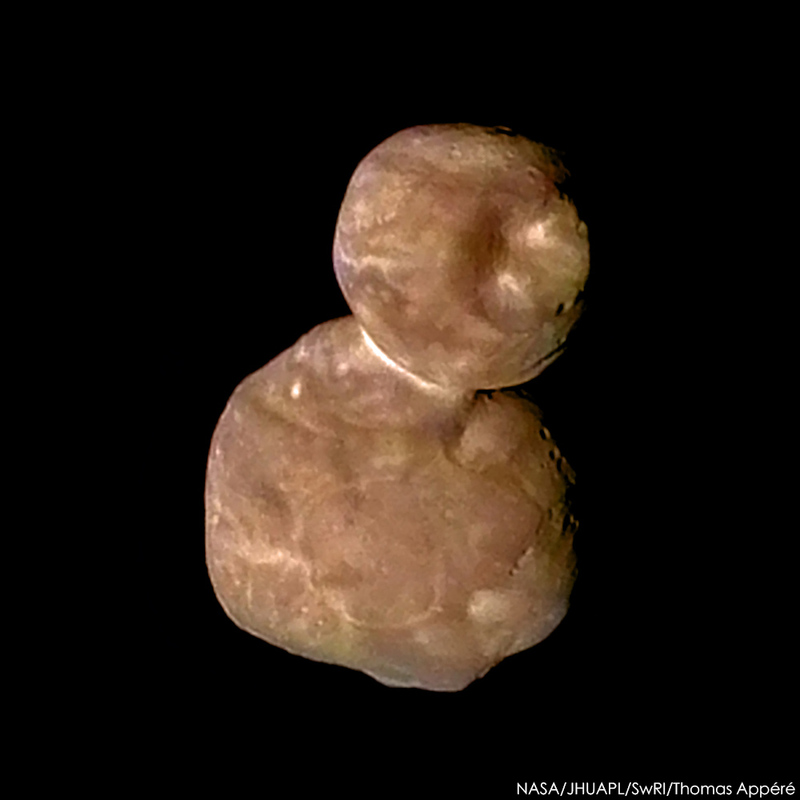 Its shape is hypothesized to have formed from the coalescence of early Solar System rubble in into two objects — Ultima and Thule — which then spiraled together and stuck. Research will continue into understanding the origin of different surface regions on Ultima Thule, whether it has a thin atmosphere, how it obtained its red color, and what this new knowledge of the ancient Solar System tells us about the formation of our Earth. Posted on Tuesday, 29 January 2019 by VGC	This entry was posted in ifttt-photograph and tagged IFTTT, NASA. Bookmark the permalink.